^ Euler, Leonhard. Solutio problematis ad geometriam situs pertinentis (PDF). ^ Listing, Johann Benedict. Vorstudien zur Topologie. Göttingen: Vandenhoeck und Ruprecht. 1848: 67. ^ Tait, Peter Guthrie. Johann Benedict Listing (obituary). Nature. 1883年2月, 27 (1): 316–317. ^ Poincaré, Henri. Analysis situs. Journal de l'École Polytechnique. 1895, 2 (1): 1–123. ^ Fréchet, Maurice. Sur quelques points du calcul fonctionnel. PhD dissertation. 1906. ^ Kuratowski, Kazimierz. Sur l'opération Ā de l'Analysis Situs (PDF). Fundamenta Mathematicae (Warsaw: Polish Academy of Sciences). 1922, 3: 182–199. ISSN 0016-2736. ^ Munkres, James R. Topology. Vol. 2. Upper Saddle River. Prentice Hall. 2000. ^ Allen Hatcher. Algebraic topology. Cambridge University Press. 2002: 544. ISBN 0-521-79160-X. ^ Lee, John M. Introduction to Smooth Manifolds. Springer-Verlag. 2006. ISBN 978-0-387-95448-6. ^ Budney, Ryan. 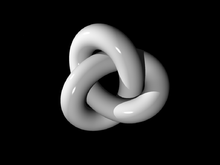 What is geometric topology?. mathoverflow.net. 2011 [2015-09-20]. ^ R.B. Sher and R.J. Daverman. Handbook of Geometric Topology. North-Holland. 2002. ISBN 0-444-82432-4. ^ Johnstone, Peter T. The point of pointless topology. Bulletin of the American Mathematical Society. 1983, 8 (1): 41–53. ^ Artin, Michael. Grothendieck topologies. Cambridge, MA: Harvard University, Dept. of Mathematics. 1962. Zbl 0208.48701. ^ Barble M R Stadler; 等. 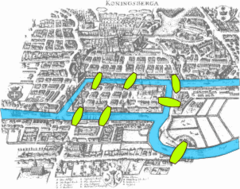 The Topology of the Possible: Formal Spaces Underlying Patterns of Evolutionary Change. Journal of Theoretical Biology: 241–274. doi:10.1006/jtbi.2001.2423. ^ 17.0 17.1 Gunnar Carlsson. Topology and data (PDF). BULLETIN (New Series) OF THE AMERICAN MATHEMATICAL SOCIETY. April 2009, 46 (2): 255–308. doi:10.1090/S0273-0979-09-01249-X. ^ Marcel Dekker. The Shape of Space: How to Visualize Surfaces and Three-dimensional Manifolds 2nd. 1985. ISBN 0-8247-7437-X. ^ John J. Craig. Introduction to Robotics: Mechanics and Control 3rd. Prentice-Hall. 2004. ^ Jean-Claude Latombe. Robot Motion Planning. Kluwer Academic Publishers. 1991. Ryszard Engelking. General Topology. Sigma Series in Pure Mathematics. Heldermann Verlag. 1989年12月. ISBN 3-88538-006-4. Nicolas Bourbaki. Elements of Mathematics: General Topology. Addison–Wesley. 1966. Breitenberger, E. Johann Benedict Listing. (编) James, I. M. History of Topology. North Holland. 2006. ISBN 978-0-444-82375-5. Kelley, John L. General Topology. Springer-Verlag. 1975. ISBN 0-387-90125-6. Wacław Sierpiński. General Topology. Dover Publications. 2000. ISBN 0-486-41148-6. C. Wayne Patty. Foundations of Topology. USA: PWS-KENT Publishing Company. 1993. ISBN 0-534-93264-9. Elementary Topology: A First Course Viro, Ivanov, Netsvetaev, Kharlamov. The Topological Zoo at The Geometry Center. Topology Course Lecture Notes Aisling McCluskey and Brian McMaster, Topology Atlas. Moscow 1935: Topology moving towards America, a historical essay by Hassler Whitney.